The Emmerdale and Strictly Come Dancing star has undergone an incredible transformation! 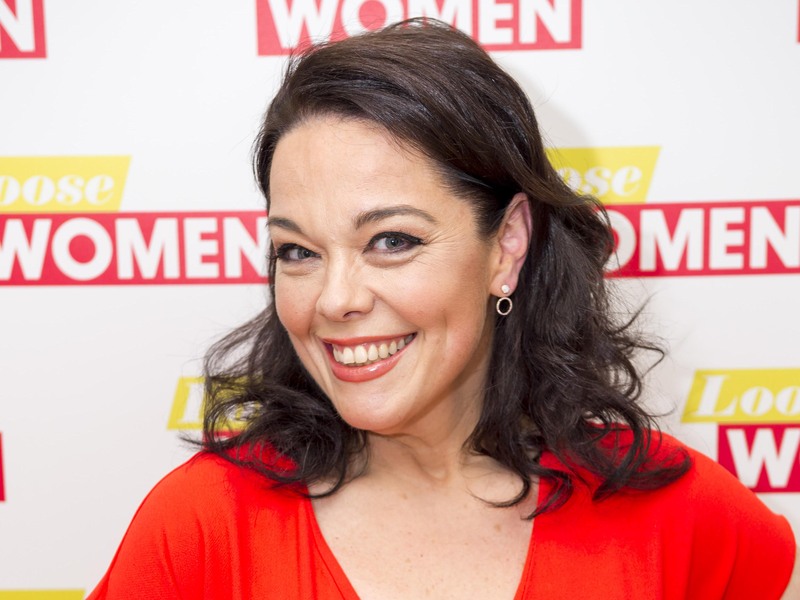 Since Lisa Riley got her big break into showbiz back in 1995, she’s been proudly waving the flag for plus-sized girls. Now, the star has been popping up on Loose Women and showing off her much slimmer figure – where she’s lost an impressive TWELVE stone in just two years! Lisa underwent excess skin removal surgery on her stomach area following her dramatic weight loss and showed off the results when she appeared on Loose Women last year – and looked incredible! Going down from a size 30 to a size 12, the actress and TV personality revealed to Bella magazine that the health issues faced by her immediate family had been a motivation to eat healthier, and exercise more: she lost her mum, Cath, to cancer, while her father was diagnosed with Type 2 diabetes in 2015 after a cancer scare of his own. ‘Losing my mum then seeing my dad wired up and nearly losing him and becoming an orphan was a shock to my system. I don’t want to be a statistic,’ she said in January 2016. In October 2015, signs of her weight loss were visible when she released her plus-size fashion range ‘Just Be You’. However, she first saw signs of weight-loss in 2012, when she wowed the nation during her stint on Strictly Come Dancing. And since then she’d been flaunting her new figure on social media and most recently at the BAFTAs. Lisa wowed fans as she turned up at the glitzy event in a gorgeous emerald green velvet dress complete with a simple gold clutch bag. And it turns out the star-studded bash was a significant event for Lisa, as she revealed it was the first time she had walked the red carpet as a size 12. 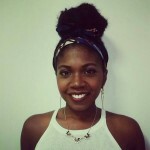 Good on Lisa – a testament to what can be achieved with hard work! Lisa’s ‘plus-sized’ status also went towards her scoring further roles – take ITV’s ‘Fat Friends’…and LOOK who she’s with! Because who didn’t love a bit of ‘Burberry’ in 2001? 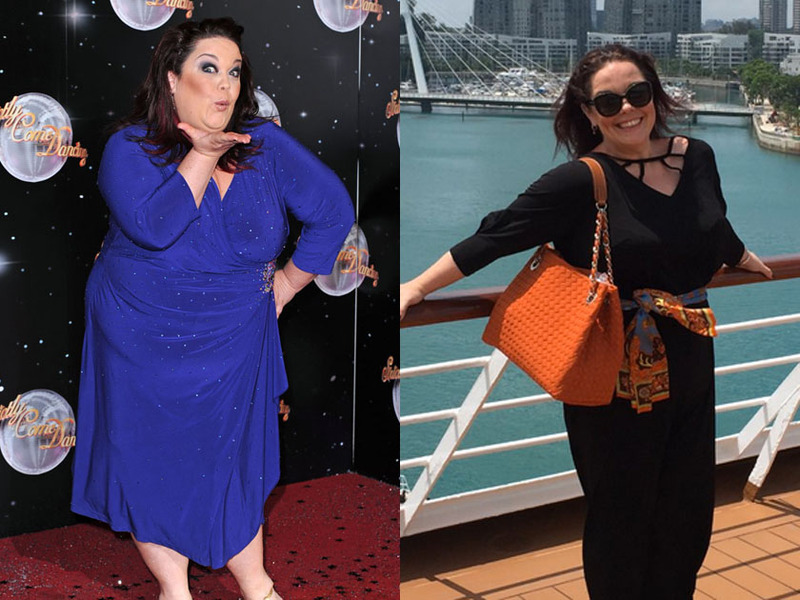 In October 2015, Lisa Riley launched her very own plus-size clothing range – and also debuted a smaller figure! Wow! 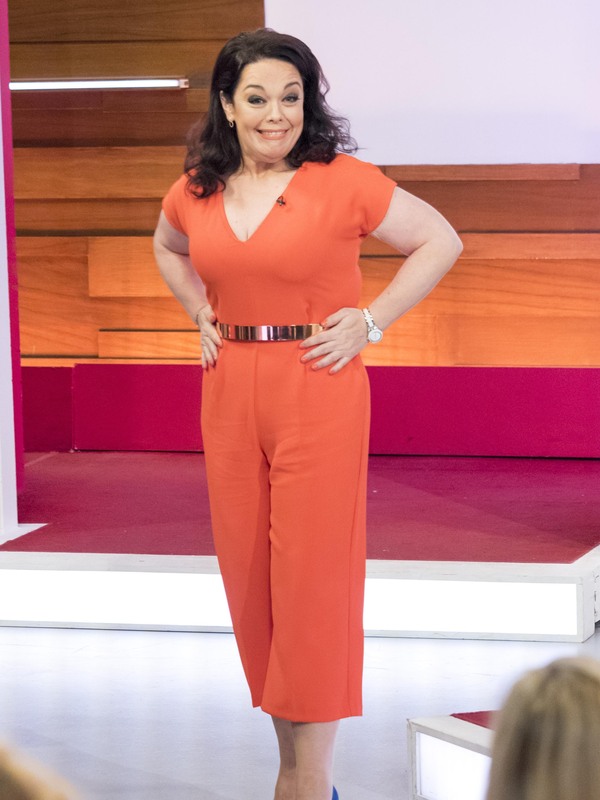 Lisa Riley shows off her incredible slim frame during an appearance on ITV’s Loose Women in April 2016. She’s getting smaller and smaller! Lisa looked happy and healthy on Loose Women in August 2016.